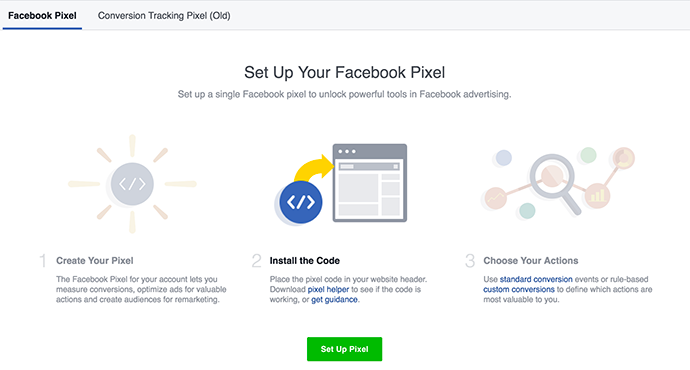 You hopefully know by now that the Facebook pixel is important — it’s really freaking important. 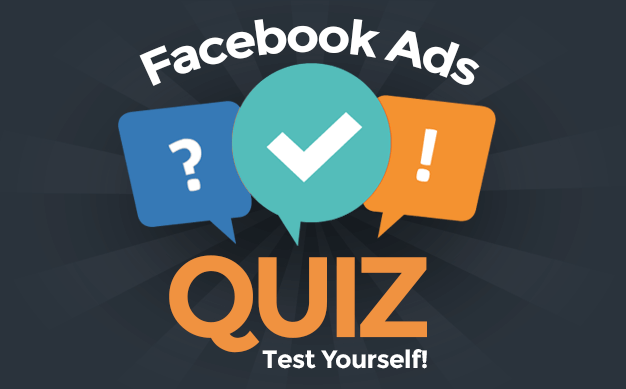 It’s the Facebook pixel that allows you to create powerful audiences for ad targeting, run dynamic ads, track conversions, and optimize for conversions. Many marketers remain slow to add the pixel — or add it correctly. The most common reason why is intimidation. They assume the process is complicated and overly technical. While the pixel can get technical (particularly concerning standard events and dynamic ads), it is extremely simple for applying it for its core utility. Before we get to how you install the pixel, let’s make sure you can locate that pixel in the first place. Click on the green “Set Up Pixel” button. What you click on here will depend on how your website is set up. The number shown twice in blue is the unique pixel ID for your ad account. The example above is for a test account. Let’s first assume you are on a self-hosted WordPress site. If that’s the case, you have plenty of options. In fact, maybe too many options for me to know exactly how you should do it. The main thing we want to look for is a place to inject code before the closing HEAD tag in the template of your website. 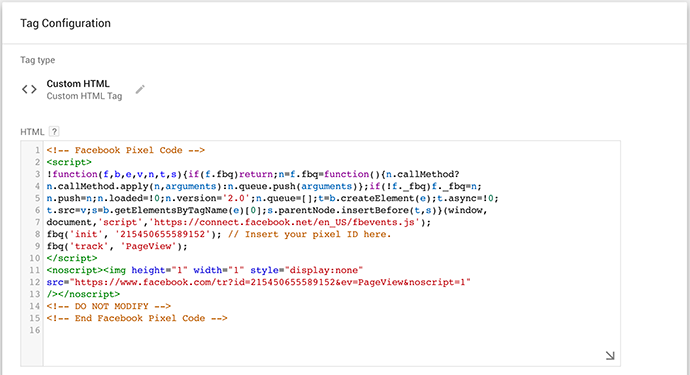 That way, this code (your pixel) will appear on every single page of your site. That’s the goal. 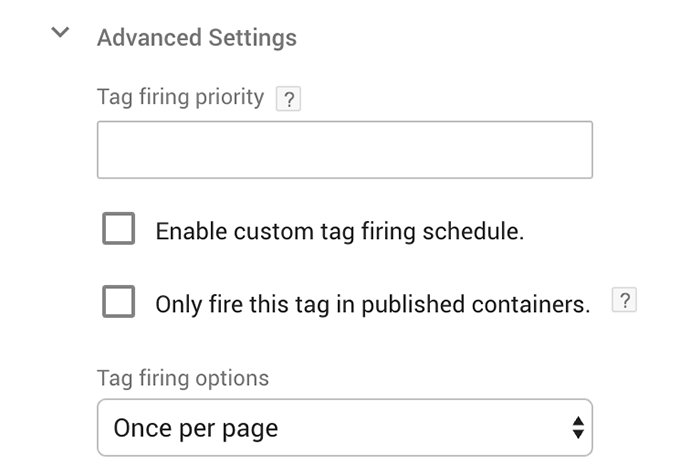 One common place to do this is in your theme settings. Since there are thousands of different themes, I can’t say that this is the case for all themes. But it is for mine, and I use Genesis Framework. Installing your pixel on every page of your website is the base minimum what needs to be done. If you can do this with #1, you’ll be able to create audiences of people who visit your website and create Custom Conversions to track and optimize for conversions. Pixel Caffeine is a new, free plugin put out by Ad Espresso, the same folks who create a very popular Facebook ad creation and testing tool. They have experience with Facebook, so that’s always good. Installing your pixel with this plugin is ridiculously easy. Within General Settings, click the Facebook Connect button. 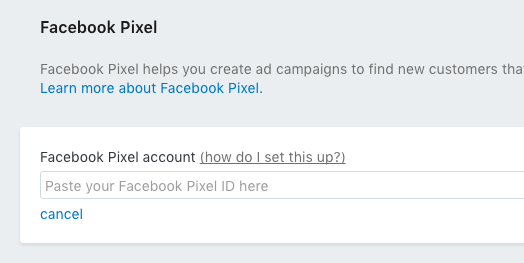 After connecting to Facebook, Pixel Caffeine will pull up a list of your Facebook ad accounts and pixel IDs. Select what you want to use on this website. Make sure the drop-down for pixel position is set to “Head” and you’re good to go. If all you want to do is install the pixel, that’s all you need to do — no copying and pasting at all. PixelYourSite Pro is a premium WordPress plugin that starts at $80. It’s what I’ve used on my old membership website. Setup here is about as simple as Pixel Caffeine. You just need to know your pixel ID, and paste that in. 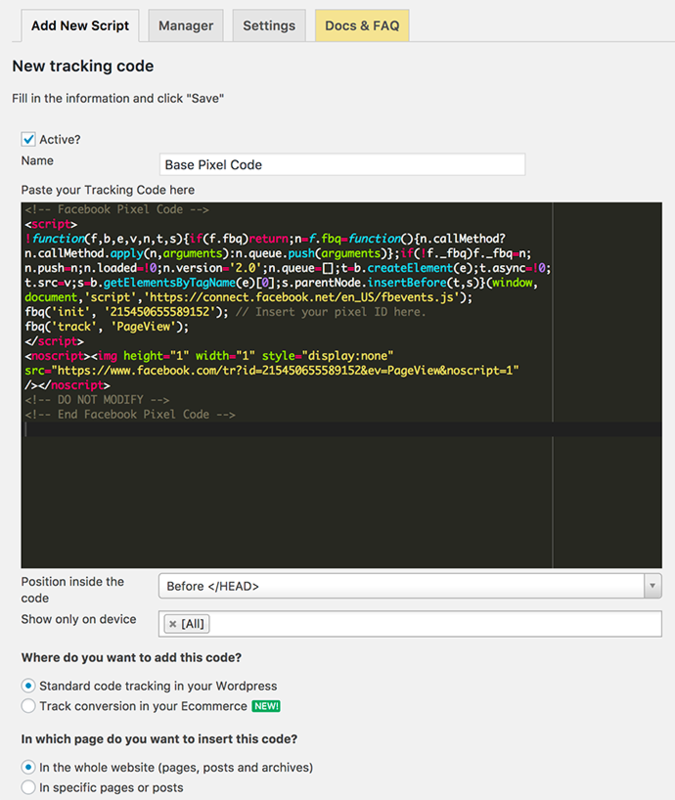 Tracking Code Manager is another free WordPress plugin option (there is a PRO option as well). Setup isn’t quite as easy as Pixel Caffeine, but it’s not particularly complicated either. This plugin will allow you to inject different codes on different pages, which you may want to do with Standard Events. Overall, it’s not as robust as the two options above, but if you don’t need the bells and whistles, it does the trick. 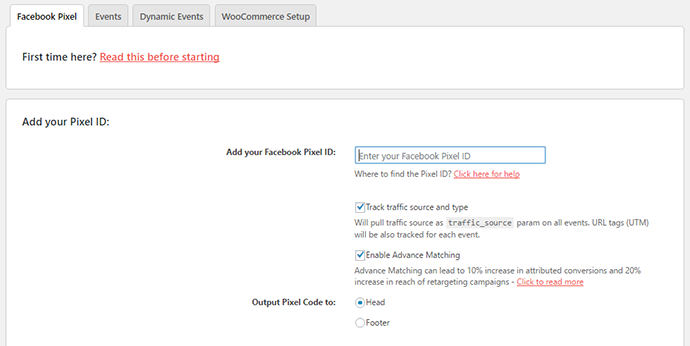 The PRO version also allows you to manage other tracking codes within the same plugin (Google Adwords, WooCommerce, Easy Digital Downloads). Google Tag Manager is another method that many advertisers use for installing the Facebook pixel to their websites. Make sure that “All Pages” is selected for your trigger. Then name, save your tag and publish, and you’re done! If you have a Shopify online store, the process of adding your pixel is very easy. Click “Settings” within your Shopify dashboard and then “Online Store.” Copy and paste your pixel ID (not your entire pixel) within the assigned box. There are countless other ways as well. 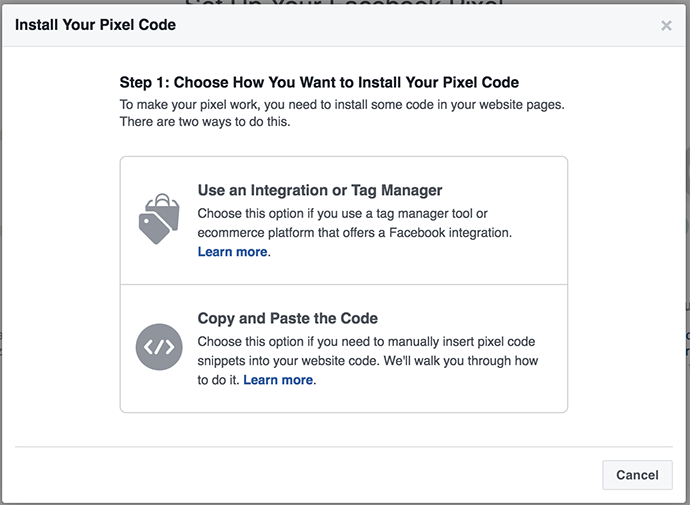 Regardless of whether you self-host with WordPress or sell your products on a third party website, your primary goal is this: Find a way to inject your Facebook pixel code between the HEAD tags of every page. Not every third party website will allow for this. But many will. Check out their FAQ or send them a support email if necessary. As I said earlier, I’m not recommending any single method. You can get by on the basics, as long as you get your pixel installed (especially if you aren’t managing an ecommerce site). But these are the few ways that you can pull it off. 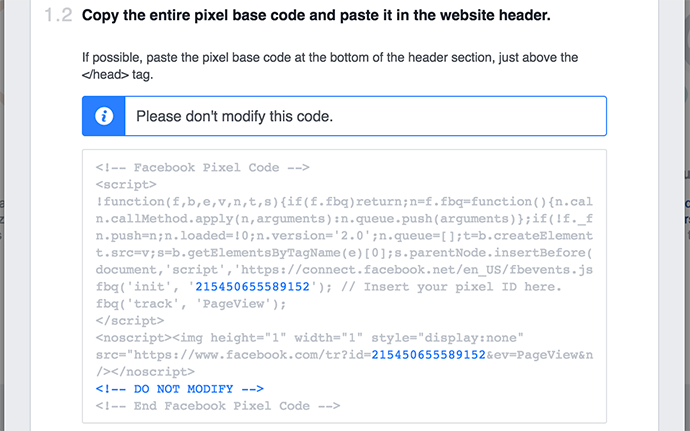 What method do you use for adding the Facebook pixel to your website? Let me know in the comments below (without spamming the comments about your own product that isn’t on this list)!